The LG Spectrum, which is widely expected to be released as the Verizon Revolution 2, has made an appearance in pictures and there are some more specs rumored for the device, and it's all making the choice for Verizon customers much more difficult. As of last month, the Spectrum was still the name, but now it looks pretty official that this will be the Revolution 2. The images look pretty solid. The device seems a bit slimmer than the original Revolution, which is no real surprise given the trend in handsets these days. Other than that, there isn't a lot to say from the images alone. However, the rumored specs for the device are also sounding pretty solid. The Revolution 2 is expected to be packing a 720p screen, a 1.5 GHz dual-core CPU, an 8 MP camera capable of HD capture, and an LTE radio. Unfortunately, no word on the type of CPU or type of screen involved. It sounds like a pretty solid phone all around, and definitely could be a worthy competitor to the other Verizon powerhouse phones like the Samsung Galaxy Nexus, Motorola DROID RAZR, and HTC Rezound. Of course, if like the original Revolution, this one is also packing Bing search and Maps rather than Google, that may turn people off. So its nitro hd with a LTE radio. Cool. The nitro HD has LTE... so its more like Verizon's version of the nitro HD except rumors for this came out first I think. O ya i meant CDMA. Nice catch. 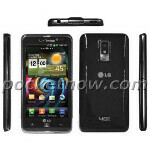 Similar specs to LG nitro HD for at&t, which is a good phone but not the best. I don't think it can compete very well with the rest of Verizon's line up. agreed.. they should take it back to the drawing board put one of them awesome ips displays on it get the phone into a more "edge to edge" design and bring it to the market as a quad core device ASAP.... i do love LG displays! LG late to the party again... this phone should of came out before the razr if they expected substantial numbers and that pic just looks all wrong look at all the wasted space at the bottom and the top of the phone.. i dont see this being a huge seller! Put stock gingerbread on it at least so its not so laggy like the nitro. But of course they all have to put their own custom UI on every device even if they are all so similar to each other. This is why people want the Nexus so badly, no custom UIs no holding the processor back of ifs true potential. 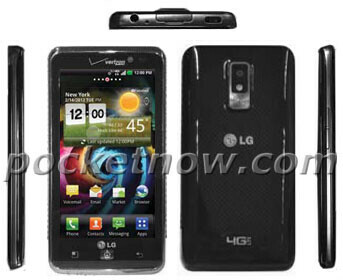 basically its the LG Nitros twin brother, but different casing. Looks similar to the LG Marquee, just a lot more higher spec. LGs custom UI should not even exist. It looks terrible and very feature phone material. All it does it slow down the phone horribly and makes you want to root it and put a custom rom on it just so it can run OK. I would still suggest the G2x over this and the Nitro any day. The Nitro would be a speed demon had it running Gingerbread. I doubt the Nitro will even get ICS for a very long time.